FEATURES 19 tough reinforced attachment points: 16 around the sides and corners, and 3 along the centre (ridge line) 4 x pegs and guy lines included in their own bag Made from 190T polyester with PU 3000mm waterproof coating, and has a taped central seam Stuff sack with drawcord closure A handy solution for wet weather out on the trail, the DD Tarp S is unobtrusive and lightweight. 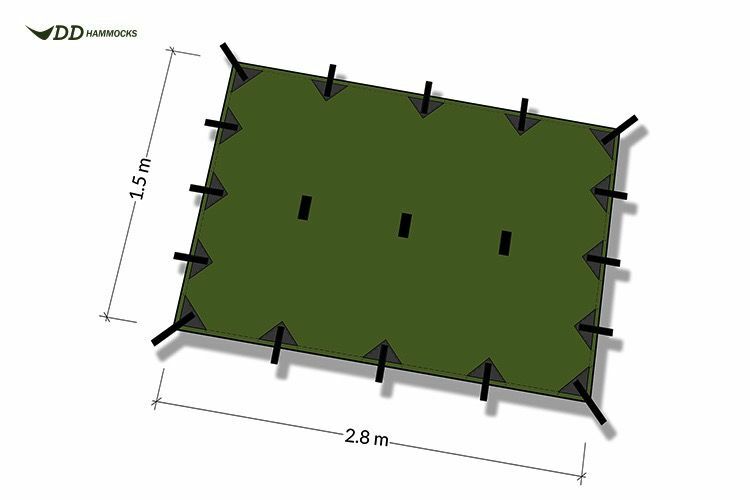 Perfect for ground bivi camping, it provides plenty of shelter for one person and gear - and also makes a great quick-setup day shelter, tent porch extension or ground sheet. Small but sturdy Its 19 re-inforced attachment points allow for a number of setup options. Take the Tarp S with you on a backpacking trip for convenient dry cover, during rest stops and lunch breaks - or use it as either a ground sheet or top cover for bivi camping. Festival-goers can also enjoy extra camping (or partying) coverage during those inevitable downpours! 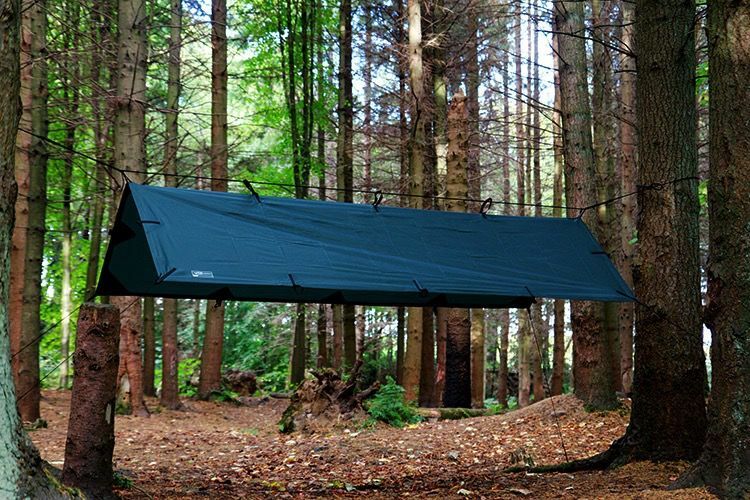 Due to its size, we don't recommend this tarp as a hammock shelter. For hammocks, opt for the DD Tarp 3x3, or the DD Tarp M. All DD tarps are 100% waterproof, even in the heaviest storms.